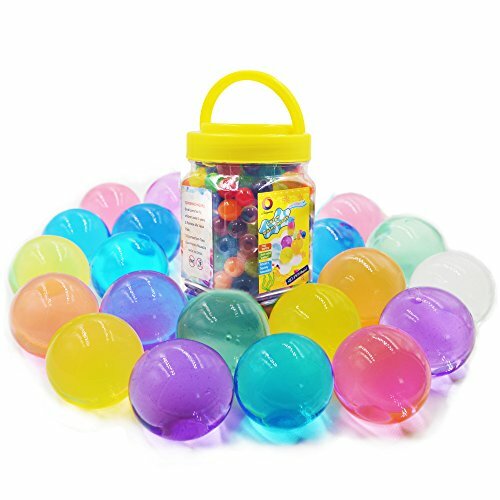 Tons of Joy and Fun Playing or Decorating with the Magical Water Beads! 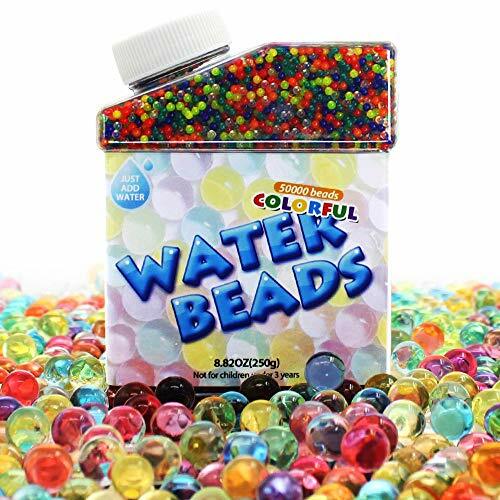 Specifications--Package includes 50000 beads, huge pack of fun. 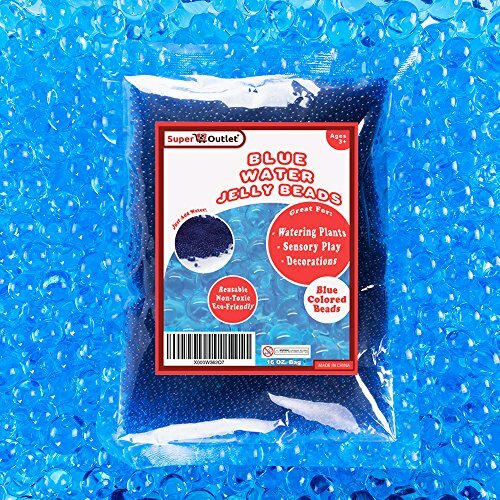 --Pour them into water, and they will expand to 9-12mm after absorbing water. Grow in full size at most 6 hours. --Made of environmental friendly material and non-toxic. --Can be used as toys for kids and vase decorations indoor. --Not for children under 3 years, not to put in mouth. Easy To Grow! Add at least 3.5 Liter of water (more may be needed depending on amount of beads being soaked) . Allow for the beads to soak in water for 4-6 hours. After 4-6 hours, the beads will have absorbed most of the water. Drain the excess water and use them as you please. Kindly reminder! Please be careful not to slip: The water beads after absorbed water would become slippery. 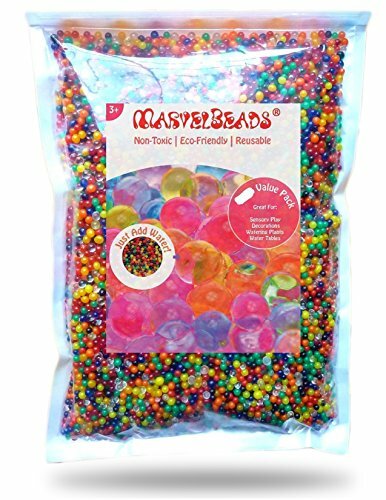 Please enjoying in a yard: children would throw them away and it's a bit of a hassle to pick up the beads that bounce in all directions. Attention! Caution not for human ingestion, and be careful about children,do not let them eat any, non-toxic but inedible. 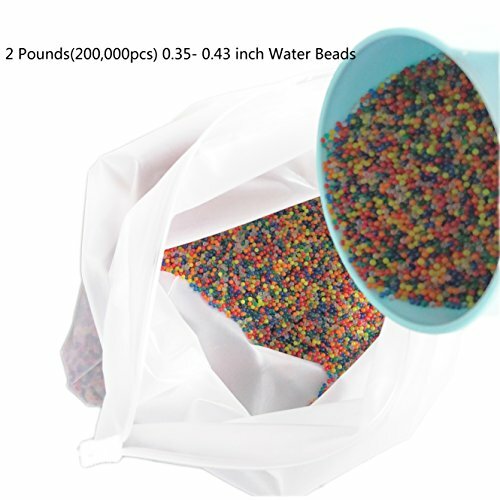 Instructions: Water Beads are water polymers, including polyacrylate-polyacrylamide copolymer,with super absorbent properties, safety and environmental protection. 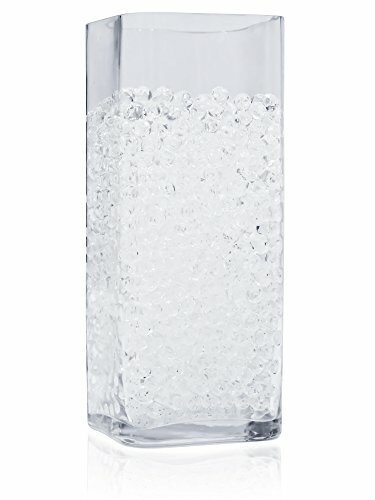 How to use: Put a packet of water beads in a container with water(about 10litre ).soaking for more than 4 hours,the water beads will expand 7 - 8 mm. ▪Great for Home, Wedding, Vase Filler, Plants,General decorations. ▪Ideal for playing them with a toy gun. 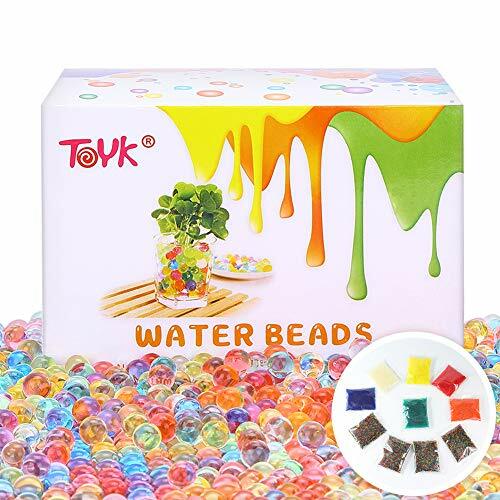 Package Includes: Red × 1 Blue × 1 Green× 1 Yellow × 1 Orange× 1 Ttransparent× 1 Rainbow Mix × 4 (Total 10 Packs) ※Single Pack × 10000 beads (2.25oz) ※Total:100000 beads(22.5oz) Notice: The water and soaking time can not make the water beads to continu to grow. 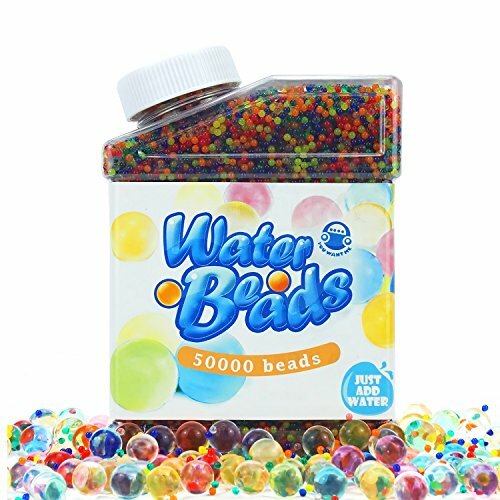 light and heat will lead to water beads shrink, you can re-put into the water soaking increases.